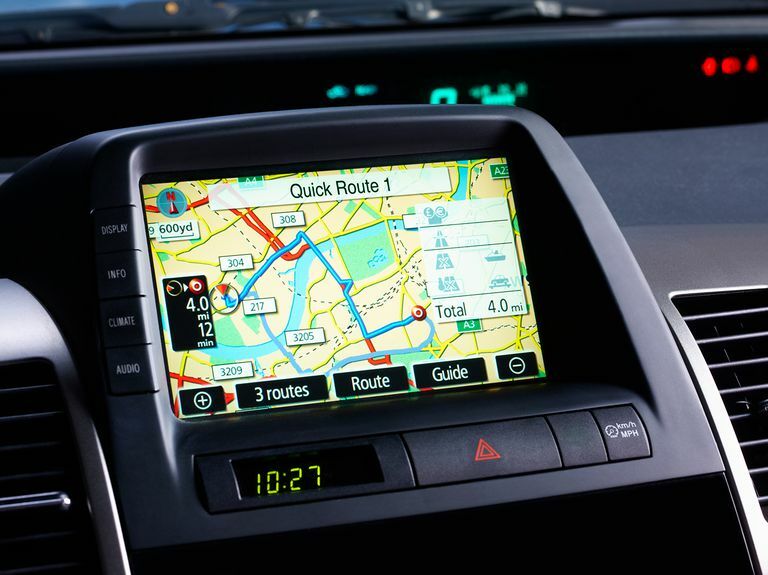 With a GPS navigation system in your car, you are never lost, but GPS isn't only useful for drivers. When you go out for a run or bike ride, take a GPS tracker that can capture your speed, distance, elevation change, and heart rate data and then upload it to a training log or an online map you can share. Go hiking without worrying about finding the way back to camp. Play golf and always know the exact distance to the pin. These scenarios are realities with the use of Global Positioning System (GPS) receivers. Car GPS devices are still great navigation aids. Screens are bigger and brighter than they used to be and accuracy has improved significantly, as has the usability of maps and directions with added features such as traffic alerts and the ability to wirelessly pair a mobile phone to an in-car unit via Bluetooth to get hands-free mobile speaker-phone use. Handheld GPS units have dramatically changed outdoors travel, replacing the map and compass with moving digital maps and precise location, elevation, topographic, and other data. These handheld units let you enter waypoints, which are precise locations for a favorite fishing spot, safe passage across a stream, a campsite, or anything else of importance. Handhelds enhance outdoor safety and make getting lost much less likely by providing precise position information that can be relayed to rescuers in case of an emergency. Handheld GPS trackers are also handy for geocachers who are looking for location-based "treasures." Although your car GPS unit can be multi-purposed for some mobile uses, manufacturers offer GPS products specifically for cycling and running. In cycling, for example, a GPS unit can replace a conventional cycle computer and add another layer of features, such as route mapping and trip, heart rate, and cadence data that is uploadable to a computerized training log or a website. Specialized golf GPS receivers provide precise yardage and other useful information and can be preloaded with your favorite courses. GPS has been a boon to recreational and commercial boaters. Moving map displays and navigation overlays are incredibly convenient and easy to use, and they dramatically enhance all- weather and light conditions safety. The ability to provide precise position information in case of an emergency is another key safety feature. Built-to-purpose, portable chart plotters often come loaded with detailed coastal maps, and many additional maps for the Earth's oceans and lakes are available. Portable aviation units offer intuitive, moving-map views with navigation overlays, providing a great supplement to a plane's instrumentation. Aviation features include a map page, terrain page, route page, position data page, "direct-to" navigation, airport information, and more. Aviation GPS units are much more expensive than other types of GPS trackers, but they are packed with premium features of value to a pilot.